If you have been following me for any amount of time you know that Beau Hudson is my all time FAVORITE BRAND! 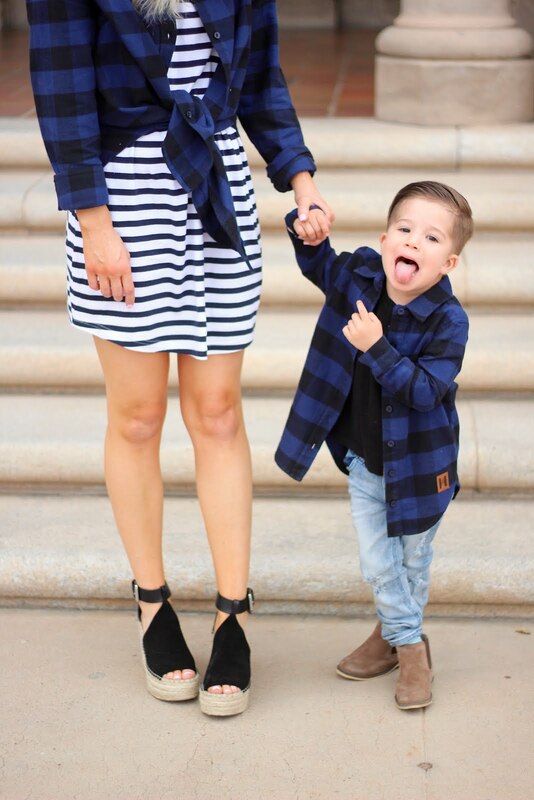 I discovered them on Instagram while I was pregnant with Hudson, because I wanted trendy clothes for him. I immediately feel in love with their products. Then when Hudson was born, he was tiny...still is. He has long legs (like his daddy) and a tiny waist and I couldn't find one pair of jeans on this earth that fit him right. I ordered a pair of the Beau Hudson jeans and they fit like a glove. I can even order a size up and they still have a skinny look to them, while giving him room to grow. And from there my love for them grew. I can't tell you how many times I get stopped in the store, where someone asks me about Hudson's outfit..which he also some piece from the Beau Hudson collection. The guys at Hudson's barber shop are always obsessed with his outfits. Good thing Beau Hudson has a line for Adults! I love that it's all unisex too! Daddy's and sons can twin, mom's and son's, daddy's and daughters, you name it! 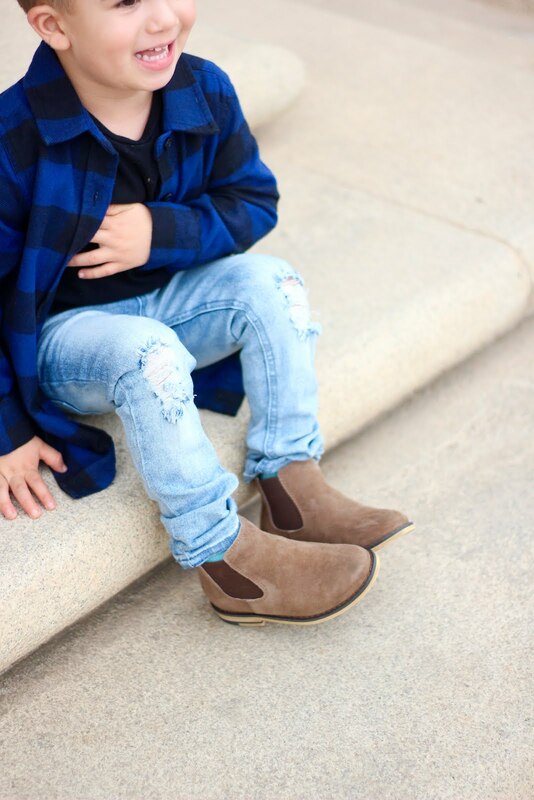 And can we just stop and drool over these distressed jeans and Chelsea boots! I mean, I just can't!!! And they are TOP quality! 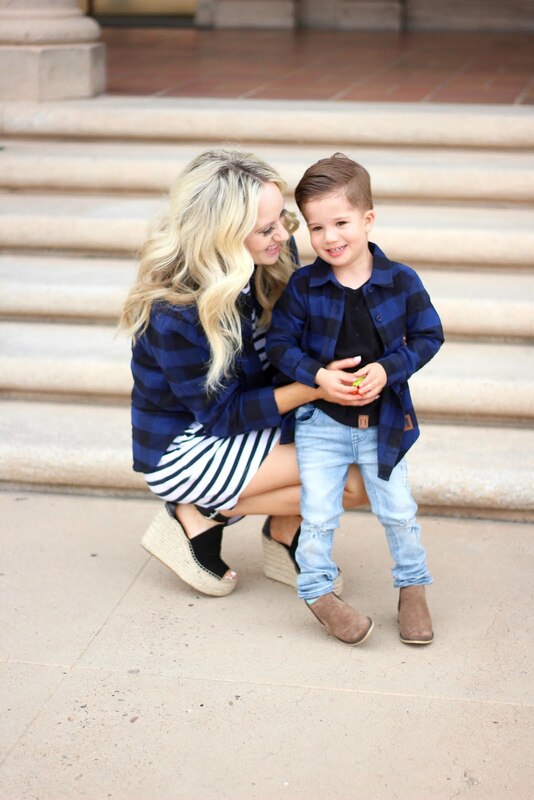 I am an Arizona blogger who styles women to feel beautiful, while inspiring mommy's to have more fun with their children by creating and finding learning resources, things to do and create. I take the time, so you don't have to!